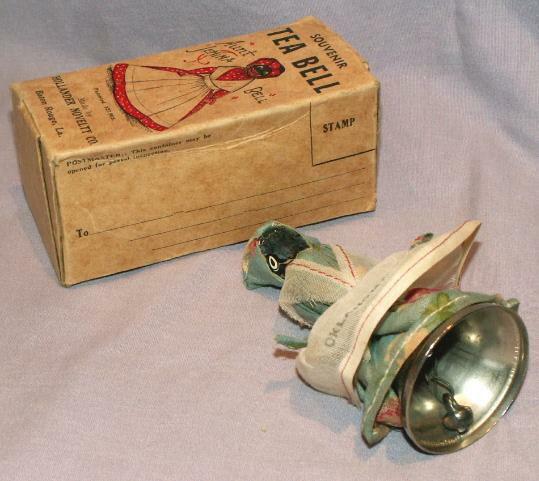 AUNT JEMIMA Souvenir TEA BELL in Original Mailing Box. Oklahoma City, Okla. is printed on her apron. The bell is stainless steel and has a nice ring. The dolls face has the eyes and mouth missing (appear to have been stick on types). The box has a mailing address with stamp space on one side and a return address space on the other side. We accept VISA, MASTERCARD, DISCOVER, and AMERICAN EXPRESS payment via paypal or you can pay with a money order or check. 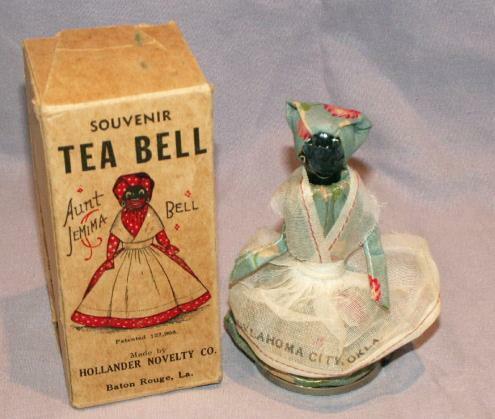 Items Similar To "AUNT JEMIMA Souvenir TEA BELL in Original Mailing Box - Ethnograp..."